What’s the Difference Between Profits and Cash Flow? Home > Blog > Cash Advisory > Cash Flow Analysis & Management > What’s the Difference Between Profits and Cash Flow? In a recent article, we discussed the importance of understanding your company’s cash flow cycle and offered some tips for shortening your cycle in order to improve cash flow. This discussion, however, assumes an understanding of a basic financial concept: the difference between cash flow and profits. It can be easy to make this critical mistake—which unfortunately, has led to the demise of many small and mid-sized businesses over the years. For starters, let’s briefly recap what we mean by the cash flow cycle. This describes the movement of cash through a business as products are manufactured and sold and payment is collected. First, cash is paid out for equipment, raw materials, salaries, overhead, etc., which are used to manufacture product(s) that are usually stored in a warehouse until sold. At this point, the business issues an invoice to the customer, creating an account receivable. Once the receivable is collected, cash flows back into the business, and the cycle starts all over again. Depending on the type of business, the entire cash flow cycle can take anywhere from a few weeks to a few months or longer. It is the timing of events within the cycle—the collection of accounts receivable, in particular—that can sometimes cause confusion and lead to critical financial management mistakes. Consider a hypothetical company, Acme Manufacturing, which produces high-quality widgets. Acme’s customers are willing to pay a premium for its widgets due to their durability and long life, so Acme is able to price them at a 100 percent markup over their cost, compared to the industry’s typical 75 percent markup. On paper, Acme is a very profitable company. In fact, Acme realized a net profit after all expenses during its first year of $1 million. So they decided to expand capacity and operations for their second year by buying more equipment, hiring more employees and adding a second manufacturing shift. Halfway through the year, though, Acme’s CFO informed the CEO that the company was in financial trouble. It had exhausted its bank credit line and didn’t have enough cash on hand to pay its suppliers, who were threatening to cut off essential raw materials. And the company was in serious jeopardy of not being able to make payroll at the end of the month. This CEO learned the hard way that there’s a big difference between profits and cash flow. While the company’s P&L indeed showed a healthy profit, its cash flow statement was another story. It turns out that Acme’s decision to expand put a serious strain on its cash flow that it did not adequately plan for. Worse yet, the company had fallen behind in the collection of accounts receivable—instead of collecting money from customers in the 15-30 days it had forecast, collections were stretching out to 45-60 days or even longer in some cases. So while a quick glace at the finances reflected a business with strong sales and profits, the reality was that this supposedly healthy company was on the verge of failure because they were, quite simply, running out of cash. The most important lesson that can be learned from this story is simple: Profits and cash flow are two totally different things. A profitable business can easily run out of cash and fail if the CFO and CEO don’t stay laser-focused on their cash flow. This usually means not expanding too soon or too fast, and not neglecting AR collections. The opposite is also true: An unprofitable business may be able to stay afloat (at least for awhile) by maintaining adequate cash flow. Many businesses experience temporary periods of unprofitability that can be overcome with strong cash flow. But poor cash flow can almost never be overcome with strong profitability—in fact, a business with poor cash flow may not survive long enough to realize the profits reflected on its P&L. It’s critical that Los Angeles and Southern California CEOs and CFOs understand the difference between profits and cash flow in order to avoid making serious financial management mistakes. 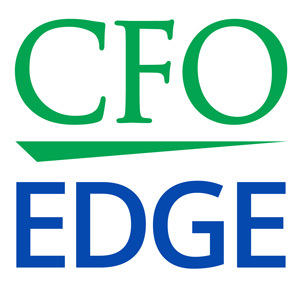 An outsourced CFO services provider may be able to help you in this area, as well as take steps to improve your cash flow and boost your profits.